In a world becoming defined by data points more every day, few numbers fascinate and flummox U.S. soccer fans more than attendance. 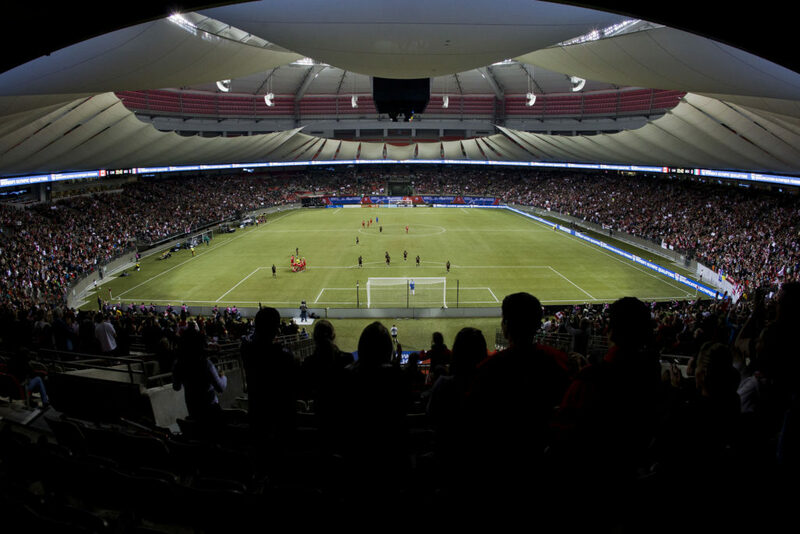 The National Women’s Soccer League is on its way to comfortably setting a new record for average attendance. Three teams are up from their 2017 averages and six of the eight returning teams are running ahead of their all-time averages. But what do those numbers mean? And are there a few specific factors masking issues in certain markets? Let’s look at the table and then take a deeper dive into the numbers. Note that these numbers are independently compiled and are not official. If anything, the idea that the Thorns are only averaging 16,578 is a reminder about how the club has set women’s soccer attendance expectations on their ear over the past five years. When they launched, there was briefly talk about playing some matches at Merlo Field. That was quickly squashed as the Thorns drew an average of 13,320 in 2013. At the time, that number was otherworldly for a women’s soccer league, but only five years later would be considered a dreadful season in Portland. In fact, even in this season, where the average dropped, the low single-game figure of 14,485 is higher than the average from both 2013 and 2014. There are no comparisons available for the Royals, but their average will land north of 9,000 and that should be just fine, especially in a market where MLS attendance has been ever-so-slightly trending the wrong way in recent seasons. The Royals opened by drawing 19,203 to Rio Tinto Stadium, and while they have yet to crack five figures again since, they have also avoided the anomalous low-end figure. The 10 games since have topped out at 8,740 and bottomed out at 7,137. That gives the Royals an average of 8,254 if you take away the big-event opener. I said after opening day that the test would be how the fan base responded to dull, midweek matches or to a team not winning matches. The response to both has been strong, and Saturday’s finale still has a chance to be a win-and-in scenario. The next test will be trying to build in year two, but let’s give the NWSL’s newest club some time to bask in a wildly successful debut season. The Pride sit third in average attendance, but this is the line of demarcation where the discussion begins to change. The Pride opened in front of a single-game record 23,403 fans only two years ago and had eyes on weekly crowds in the five figures. That went down with a thud this season. Where the Thorns’ low figure from this season is well above their season averages from 2013 and 2014, the Pride average sunk this season to more than 1,000 fewer fans than their lowest-attended game from 2016. The situation became so dire midway through the season that Ashlyn Harris called out the fan base for not showing up. There is an easy reaction here, which is to speculate that a disappointing season kept fans away. 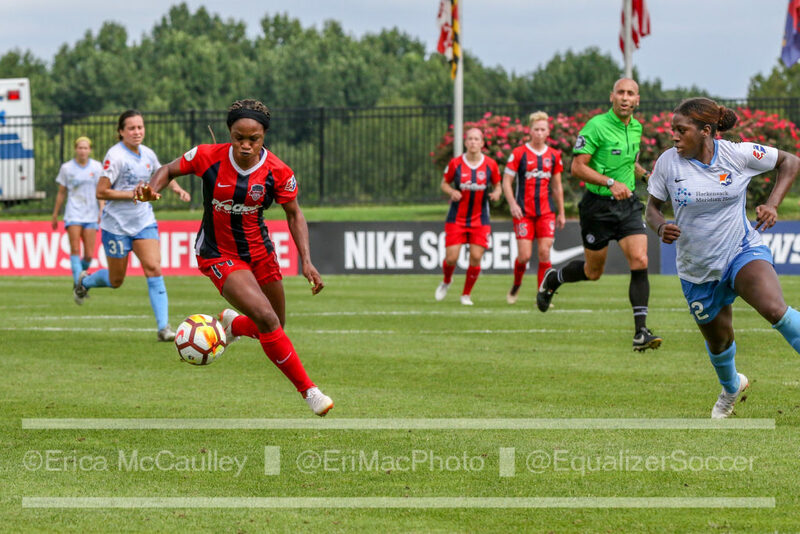 That logic does not hold up, though, because it was only a recent swoon that left the Pride in 7th and playing out the string this weekend in New Jersey. 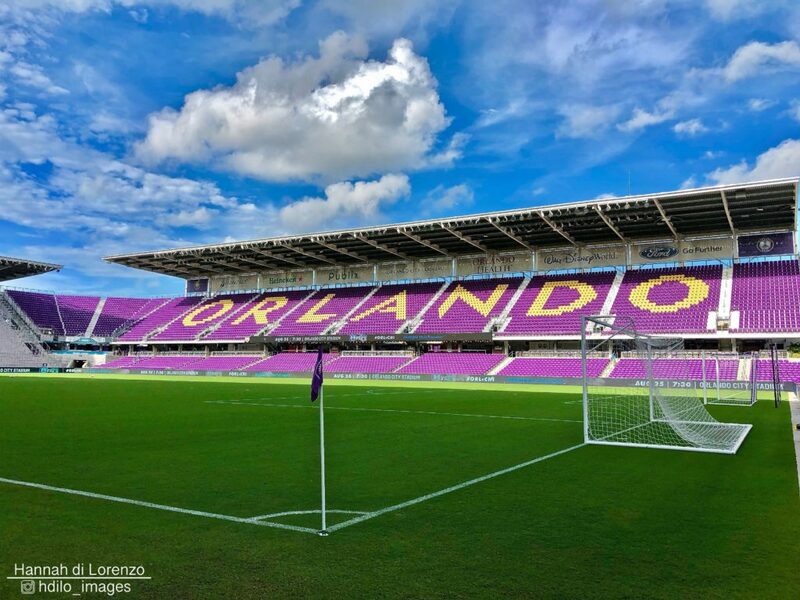 Not only were they right in the thick of things through most of the season, but their final match at Orlando City Stadium was a must-win showdown with the Chicago Red Stars that attracted only 5,016. One year ago, the Pride averaged 6,186. The club does not lack for star power, either. Alex Morgan is probably the most popular American player right now, and Marta is widely considered the best player of her generation, playing in a market that threw its arms around Orlando City’s Brazilian star Kaka. Harris grew up in the area and was well received as a local who could drive attention. The Pride have lots of soul searching to do this winter both on and off the field, but you can be sure they did not force their way into NWSL in 2016 to average less than 5,000 fans per game. Also of note, when we discuss the league average, is that only the Thorns and Royals average more than the league. The Pride and the other six teams all sit below the mean average. The Courage won’t be drawing Thorns numbers anytime soon, but in many ways, they are a model for what future NWSL clubs should aspire to. If they can continue building, they can one day think about filling Sahlen’s on a regular basis. This is a number we can pick apart all day. 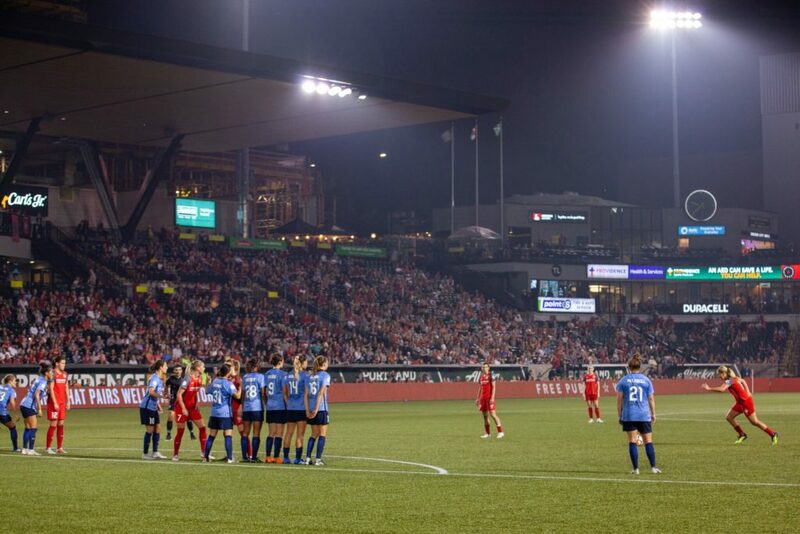 Cutting to the heart of it, the Red Stars opened by co-hosting a doubleheader with the Chicago Fire and were credited with 13,678. If we take that game away, the average drops to 3,140 which is just slightly off 2017 and a bit ahead of the Red Stars’ all-time number. The other note is that the doubleheader was a business boon as the club was able to keep more revenue than prior doubleheaders, which drew more total fans (the Fire are struggling badly at the gate, so analyzing the doubleheader figures is difficult and not likely linked much to the Red Stars.) 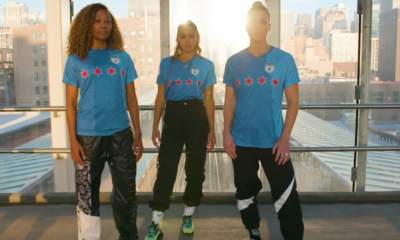 There is no question the Red Stars need to continue boosting attendance at Toyota Park, but this season should probably be viewed as a minor success. Believe it or not, this was a good season off the field for the Spirit. They played a standalone match at Audi Field in front of 7,976 and will be looking to play more games there in future seasons – which should be a bit easier with D.C. United not having to cram nearly all of their home games in after mid-July, when the place opened. The Spirit also raised average attendance one year after a mass exodus of players, combined with a public relations fail in the club’s handling of it, kept some fans away. Winning and losing does not necessarily tell the tale of whether attendance is up or down, but it is notable that the two years the Spirit averaged north of 4,000 was the World Cup year of 2015 and then 2016, when they paced the league standings for much of the summer. This year’s team not only lost a lot of games, they played plenty of boring, uninspired soccer. 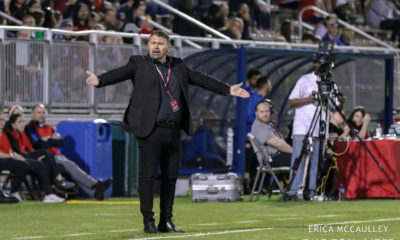 If the Spirit can find a coach that can unearth the best soccer out of Mallory Pugh, Andi Sullivan et al — and the team can trend toward Audi Field, where a larger portion of the area’s soccer fans can be found — there could be bright days on the horizon. The Reign are a team at a crossroads in terms of attendance and venue. They recently announced a return to Memorial Stadium for 2019, but their long-term future does not appear to include the downtown venue that sits under the Space Needle. They also seem to have flattened out in terms of attendance. Two years ago, the Reign average of 4,599 sat fourth in NWSL behind only the three MLS-affiliated clubs. Now, they are down for a second straight season and sit seventh in attendance despite being ahead of one of the MLS sides. For a city that has so ravenously supported the Sounders for the decade they have been part of MLS, it certainly seems like there is more to be had for the Reign — who very rarely lose at home. Repeating a theme from above, it is not feasible to see attendance go up every single year, but the Reign would do well to start that trend back in the right direction in 2019. It should not be overlooked, though, that the Reign came out of the box in 2013 struggling at times to crack 1,000 and averaged 2,306 that season. They have come a long way. Yup, the Dash are second from the bottom in attendance. They finished with a 2018 average that is below every Seattle season, save for that disastrous inaugural campaign. If there is good news, it’s that the club appears to have taken some ownership of some early mistakes. Chief among them is that they never brought on sales staff that went to work every day thinking about the Dash above all else. That is an issue anytime two clubs exist side by side, but it seems that Houston and Orlando have exacerbated the problem. 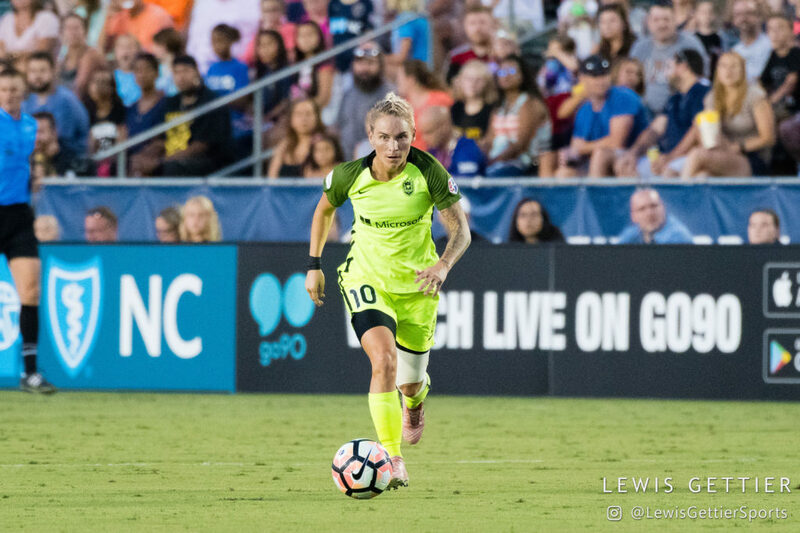 Seattle Reign midfielder Jessica Fishlock (10) during a match between the NC Courage and the Seattle Reign in Cary, NC in Week 15 of the 2017 NWSL season. Photo by Lewis Gettier. When the Dash launched, they were supposed to be the conduit to convince other MLS teams to throw their hat into the NWSL. Nearly five years later, only two others have done so. The Dash are about to complete their fifth season without having been to a playoff game, but the second half of 2018 has been the best Dash soccer during that stretch. Can the front office correct some of their earlier errors and use the newer, more exciting Dash to push attendance back over 5,000 and beyond? They better. And anytime a discussion about Dash attendance woes comes up, I can’t help but wonder how many people were alienated back in 2015, when 13,025 showed up to see Carli Lloyd and other World Cup stars — and none of them put on a uniform. The story at Sky Blue is as old as time. They need a better venue. Yurcak Field is uncomfortable, off the beaten path, and completely disconnected from any public transportation. Last year was a bit of a promising one, when Sky Blue were the only team besides the Thorns to set a personal attendance high. But the numbers regressed this year even before the team’s hellacious winless streak reached historic proportions. This is the sixth NWSL season and it will be the fifth time Sky Blue finishes last in average attendance. Someone has to of course but it would be nice to see the team figure out a path to 3,000. Season six will be a strong one on the attendance front for the NWSL as a whole. No matter how you get there, smashing your previous mark for average attendance is a strong accomplishment. Swapping out the Boston Breakers and FC Kansas City for the Royals was a huge help. That said, five teams are down for the season, including all three returning MLS-owned teams (the Royals have no comparisons yet). Two of those, the Dash and Pride, can be used as negative examples just as easily as the overall increase can be used positively. Here is some more food for thought: The NWSL average in 2017 was 5,083. If you strip away the Breakers and Kansas City, the remaining teams averaged 5,768. So this year’s average is still narrowly ahead. But that does not account for Utah. If we remove them from this season, the average stands at 5,427. The eight returning teams have seen their aggregate drop by 5.9%. There is no perfect comparison when crunching the numbers. In fact, you can do it another way and just take the returning teams who are not MLS affiliated, and those numbers are cumulatively ahead of last season. Plus it is not entirely fair to ignore the Royals. Sad as it was to see two teams fold, the mechanics of last offseason were part of the evolution of a young league looking to find its place not only in the soccer hierarchy, but in the sports and entertainment worlds it is trying to infiltrate. I’ll just hit on one item this week, which is the completely baffling decision by NWSL to make Sky Blue play a match on Sunday and then another one on Tuesday. 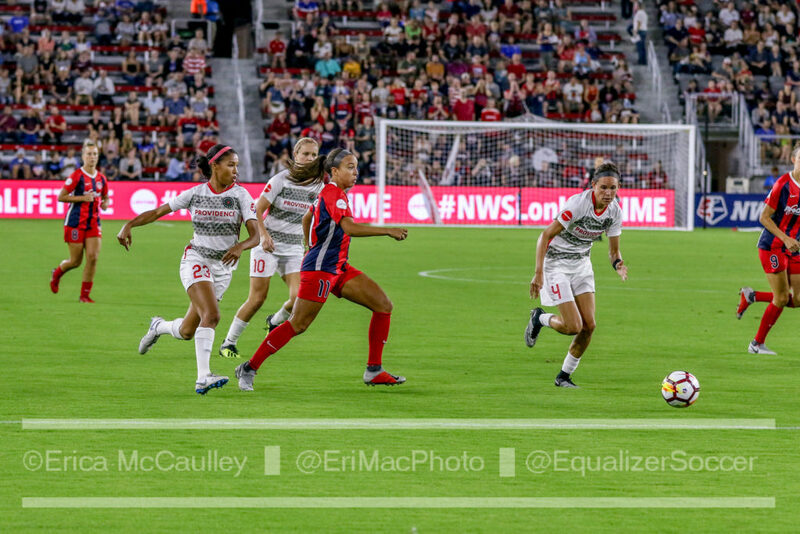 If you were not paying attention during the FIFA week, Saturday night’s match between the Spirit and Sky Blue was repeatedly delayed by lightning and eventually postponed until the following morning. That allowed Sky Blue only one day of rest afterwards before Tuesday’s makeup game in Chicago. Let’s be clear: This should not have happened. No team should ever be forced to play two matches in three days, especially in different cities. There may not have been a suitable contingency plan, although there is precedent for extending the season. 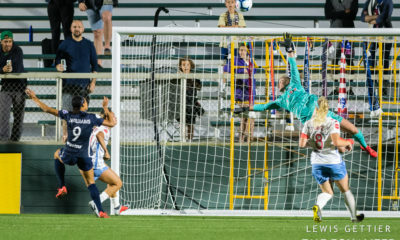 In 2014, a Sky Blue match against the Dash was played the Wednesday after the scheduled end of the regular season. When it was rescheduled, there was a chance the match would matter for Sky Blue to get in the playoffs. It went on as scheduled even though Sky Blue had been eliminated. There is a playoff spot on the line this time as well. The Red Stars need at least a draw against Sky Blue on Tuesday to secure the last spot and avoid a final-weekend pressure cooker in Utah. So it’s the Royals who actually got the worst of this deal, since they need the Red Stars to lose on Tuesday. We’re not going to feel too badly for the Royals, who have played themselves into a position where they need help to get into the playoffs, but at the very least they deserve some sort of equitable solution when weather forces a match to be postponed. The two main points are these: One, no team should have to play Sunday, travel, and then play Tuesday. Two, if NWSL were going to prioritize either match, it should have been Tuesday’s since that one has playoff implications. In leagues with powerful union representation for players, these types of things are far less likely to happen. The NWSL Players Association is just getting its feet underneath it, but this is a prime example of why the success of that group is vital. 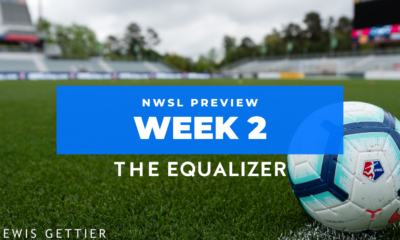 NWSL makeup game preview: Can anyone stop Sam Kerr?